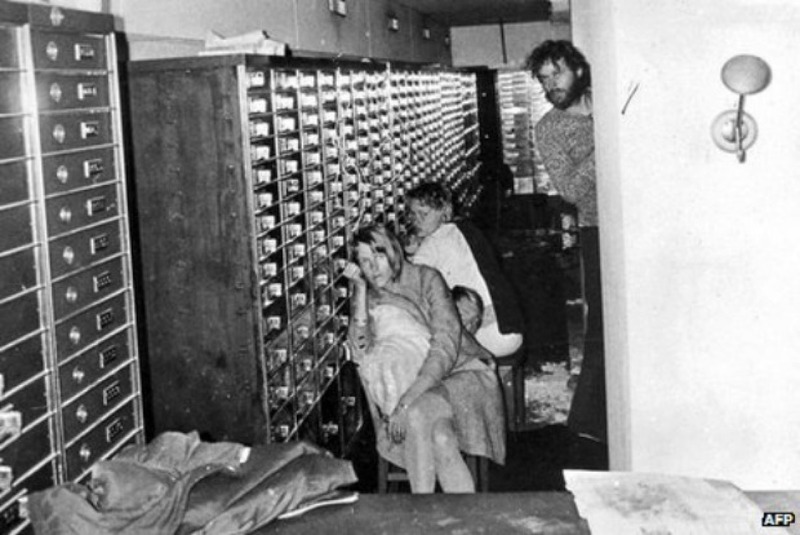 Psychological researchers utilizing the FBI’s Hostage Barricade Database System (HOBAS) – the only entity that compiles national statistics on crisis incidents (hostage, barricade, and/or suicide) which are used in research and decision making – found that nearly 8% of all such victims show signs of Stockholm Syndrome. Forming an emotional bond with an abuser is actually a survival strategy for victims of abuse and intimidation, and Law Enforcement hostage negotiators no longer consider it unusual – and in fact, encourage forming an emotional bond with captors and oppressors because it improves hostages’ survival chances. the abuser is in a position of control or authority. In fact, for many years, Local Law Enforcement Officers recognized Stockholm Syndrome among battered and abused women who declined to press charges, bail their battering husband/boyfriend out of jail, and even physically attacked police officers when they arrived to rescue them from a violent assault. Many abusive/controlling relationships feel like till-death-do-us-part relationships — locked together by mutual financial issues/assets, mutual intimate knowledge, or legal situations. • Debt – Controlling partners may increase financial obligations/debt in the relationship to the extent that neither partner can financially survive independently. Controllers who sense their partner may be leaving will often purchase a new automobile, and later claim they can’t pay alimony or child support because of their large car payments. • Exposing hidden income – A Controller who has “under the table” income or is maintained through legally questionable situations risks those sources of income being investigated or made public by a divorce/separation. The Controller then becomes more agitated about the possibility of public exposure of their business arrangements more than the loss of the relationship. • Inexperience – Teen and young adults victims may be attracted to a controlling individual when they feel inexperienced, insecure, and overwhelmed by a change in their life situation. When parents go through a divorce, a teen may attach to a controlling individual and feel the controller may stabilize their life. College freshmen college may be attracted to controlling individuals who promise to help them survive living away from home on a college campus. Victims in emotionally abusive situations may attempt to justify continuing the abusive relationship. When the victim has opinions and ideas that support the relationship are unhealthy, it’s not uncommon for them to reduce information or opinions that decrease their level of discomfort or the appearance of foolishness by taking on new thoughts and attitudes. However, very few admit to it. Leon Festinger, a Researcher and Social Psychologist, first used the term “Cognitive Dissonance” in 1956 to describe his observations of a cult whose members gave up their homes, incomes, and jobs to work for the cult. The members believed that messages from outer space would predict the day the world would end by a flood, and that they would be saved by flying saucers at the appointed time. When that time came, and passed, the cult’s members continued to justify their beliefs by asserting that their beliefs had actually saved the world from the flood, and they became more firm in their beliefs after the failure of the so-called end-time prophecy. the stronger the need to justify the position will be. So why do people stay in abusive relationships? We also know that the more difficult an experience is, the more loyal and committed we are to those things which is difficult, uncomfortable, and even humiliating. Examples include Military Basic Training, Graduate School, or College Fraternity Initiation rituals. Many controlling/abusive partners use money or a lifestyle as an investment. Victims in that situation may not want to lose their current lifestyle. Emotional and sexual intimacy are frequent emotional investments. Some victims have experienced a destruction of their emotional and/or sexual self-esteem in the unhealthy relationship. The abusing partner may threaten to spread rumors or tell intimate details or secrets. A type of blackmail using intimacy is often found in those situations. The massive investment of so many emotions, tears, and worry, that the victim feels they must see the relationship through to the finish. Some victims think or say things like, “I’ve got my pride!” to avoid social embarrassment and uncomfortable social situations, so they remain the abusive relationship. If children are present in the abusive relationship, decisions regarding the relationship are clouded by the status and needs of the children. The term “gaslighting” is also used to describe emotionally abusive relationships, and stems from the 1938 play “Gas Light” by Patrick Hamilton, and 1944 film by the same name. The play and film both describe a psychologically abusive marital relationship in which the character Jack Manningham lies to his wife Bella about leaving their house, and in the process, surreptitiously attempts to convince her she is going insane by telling her she is only imagining that the gas lights in their apartment are dimming. As the story unfolds, Police Detective Rough tells Bella that Jack is deceiving her, by explaining that in the apartment above theirs, a wealthy woman named Alice Barlow had been murdered for her jewels, and that police were never able to recover them. Each night, Jack goes upstairs to the empty apartment to search for the jewels, and when he turns on the gas lights in the flat, it causes the other gas lights throughout the building to dim. Bella also hears the sound of his footsteps. Detective Rough convinces Bella to help him gather evidence on Jack to charge him with Alice Barlow’s murder, and in the process, she pretends to help Jack escape the police. At the last minute, she reminds Jack that since she’s “insane,” she can’t be held responsible for her actions. The story ends as Police arrest Jack, and take him into custody. “Gaslighting” includes misdirection, distraction, and the deliberate denial of reality, though it may appear as rational disagreement. you’re facing another day of psychological warfare. (and, you’ll eventually come to realize, those efforts are in vain). when interacting with your partner. 1) Support v. Discouragement. Do you share your dreams and plans with your partner? If not, why not? Is your excitement about your new project or hobby met with snorts and snide remarks? Healthy relationships are supportive. Those in them don’t always agree on plans or next steps, but they hear each other out respectfully. A non-abusive partner is happy when opportunities come your way. 2) Admiration v. Criticism. The one person who should be leading your cheering section isn’t. It seems like everyone is complimenting your new wardrobe, recent weight loss, or latest blogpost but they aren’t. An emotionally abusive partner is much more invested in tearing you down and keeping you down, and really doesn’t want you to feel good about yourself. If you do, you might realize you could do better elsewhere. So, instead of giving loving praise, you’ll get negative reactions that take you down a notch or two. Or even ten. 3) Empathy v. Indifference. During sad times, you could use a shoulder to cry on. But you know you can’t rely on your partner for that. In order for emotional abusers to stay in control, they need you to focus upon them. Their tolerance for your woes is limited because they need to quickly get another fix of their ‘drug’ of choice: Abusing you. A loving partner is your soft place to land, and will grieve life’s losses right alongside you. 5) Responsibility v. Blame. Your partner claims everything that goes wrong is ultimately your fault. Whether it’s something you did today or a trespass dredged up from ten years ago, an emotional abuser’s list of wrongs gives him/her an ongoing litany of things to berate you about. Because the emotional abuser can’t see or own their role, arguing the point is perpetually unproductive. Emotional abusers externalize all disappointments in their life. And you’re their obvious target. Like any path, or well-traveled roadway, emotionally abusive relationships have signs, most of which are readily identifiable. 1. You Walk on Eggshells. In order to avoid upsetting your partner, you are vigilantly careful not to do anything that will trigger a negative emotional reaction. Living in an abusive relationship means that you never know when something that you do, no matter how seemingly trivial, may set of an emotional backlash. 2. Your Partner Can Express Emotions (and Opinions), But You Can’t. Emotionally abusive relationships are imbalanced. It’s ok for your partner to rant and rave, but if you express negative emotions, perhaps even mild ones, you are subject to criticism, or, even worse, a strong emotional backlash. 3. Your Partner Mistrusts You (and Your Emotions). Often, emotionally abusive individuals have low self-esteem, which leads to a lack of trust in the partner, as well as a belief that your expression of displeasure are designed to hurt. Any expression of emotion on your part becomes an attack. 5. You Feel Constantly Confused and Trapped. Being a victim of an emotionally abusive relationship can leave you constantly emotionally confused and feeling trapped. The emotionally abusive partner may use emotional appeals to keep you in the relationship (“I need you to help me!” “You can’t leave me alone!”). Often, as a victim, you feel helpless to do anything about the situation. NOTE: the term “psychotherapy” is a broad term referring to any professional trained to treat people for emotional problems, and depending upon academic degree, may include a psychiatrist, psychologist, or social worker (among others), who may work with individuals, couples, groups, or families. Consulting Clinical Psychologist Dr. Joseph M. Carver, PhD. This entry was posted on Sunday, May 28, 2017 at 2:31 PM	and is filed under - Do you feel like we do, Dr. Who?, - Even MORE Uncategorized!, - Lost In Space: TOTALLY Discombobulated. Tagged: abuse, counseling, dbase, emotions, FBI, gaslighting, hate, health, healthcare, healthy, hostage, Huffington Post, HuffPost, LEO, love, men, mental health, money, police, Psychology, relationship, research, secrets, social, Stockholm Syndrome, women. You can follow any responses to this entry through the RSS 2.0 feed. You can leave a response, or trackback from your own site.